Child of Light is a platforming role-playing game that takes place in the fictional land of Lemuria. Aurora, a young girl from 1895 Austria awakens on the lost fairytale continent of Lemuria after dying from a mysterious illness. The young princess discovers that to returen home she must embark on a quest to recapture the three sources of light, deafeat the Black Queen and restore the kingdom of Lemuria. At stake is not only Lemuria, but also Aurora's true destiny. 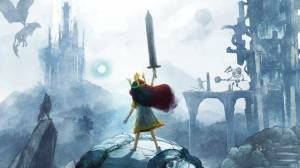 No discussions open for Child of Light at the moment.